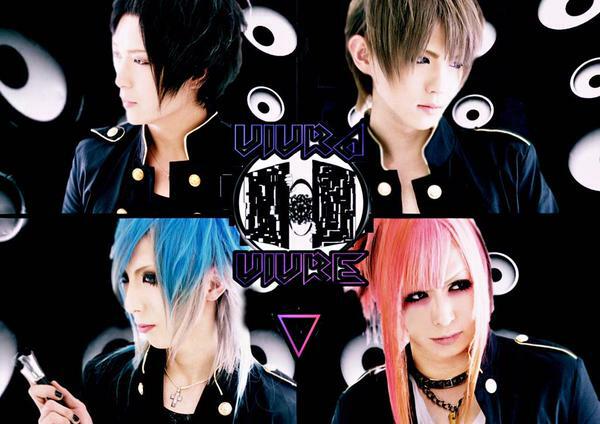 Introducing: VIVRA VIVRE | VKH Press – J-Rock & Visual Kei Coverage Worldwide! After vocalist Yoshiatsu resumed band activities by joining DADAROMA in 2014, some former members of Crazy★shampoo have now joined a new band as well. The band is called VIVRA VIVRE and has started activities since the end of 2014. The band had their first live together at Shibuya DESEO on January 28. Their debut one-man live will be held on May 19 with the venue to be announced. From now, they will participate in various lives with other visual kei bands between February and through April. Their debut release will be a mini-album titled Yamanotesen Game (山手線ゲーム). The release will have a CD containing 5 songs and a DVD with a MV of one song. It will be on sale May 20.